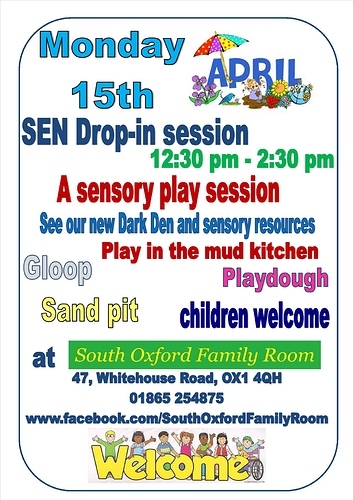 South Oxford Family Room has regular monthly SEN drop-in sessions which continue in April on Monday 15th from 12.30pm. The address is 47 Whitehouse Road, OX1 4QH (phone: 01865 254875; facebook: https://www.facebook.com/SouthOxfordFamilyRoom ). 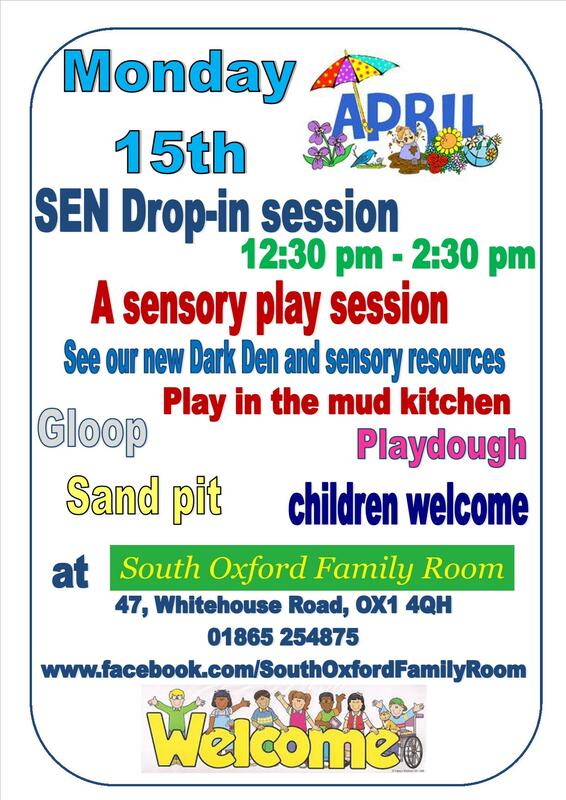 This month it is all about sensory play and children are welcome. If ear defenders are needed, please bring your own. A poster with more details is attached. Their session next month is on May 20th when Sarah Rae, a speech and language therapist joins them to chat to parents.